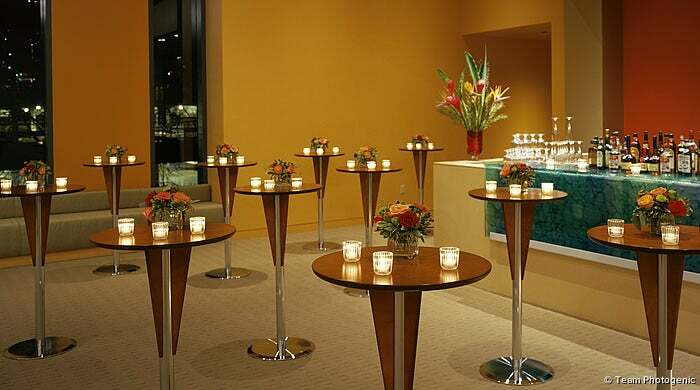 Up on the Microsoft First Tier Lobby, the third level of McCaw Hall, there are two elegant private reception rooms, the Allen Foundation for the Arts Room and the Norcliffe Room. 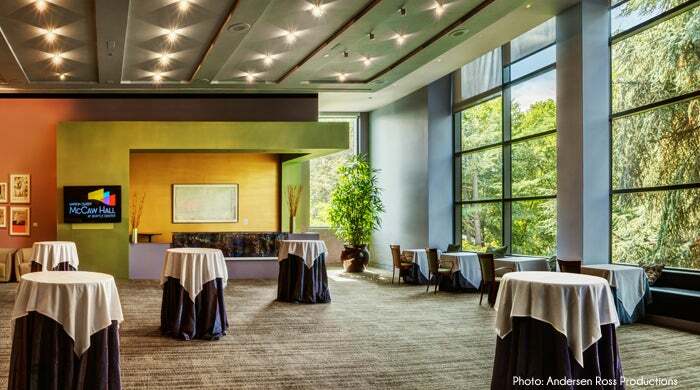 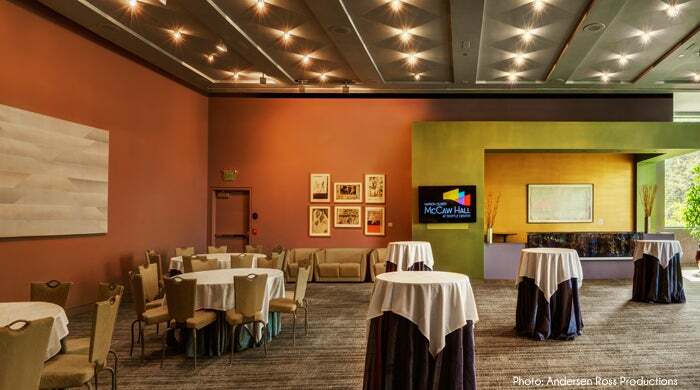 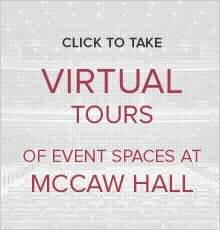 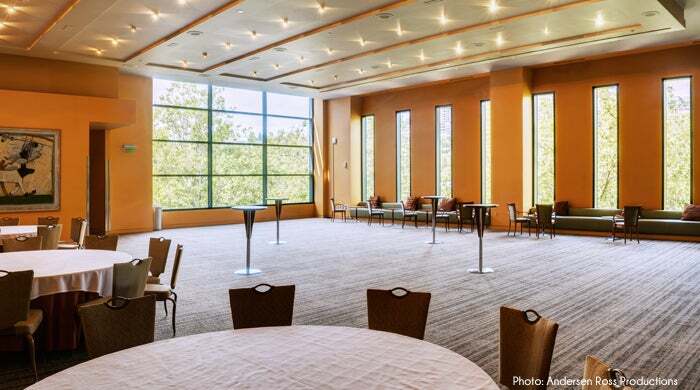 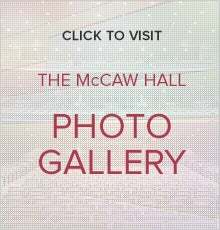 These rooms are ideal as stand-alone spaces for receptions or smaller meal functions, and can also be used in conjunction with the other McCaw Hall spaces as a breakout space for a larger event or meeting. 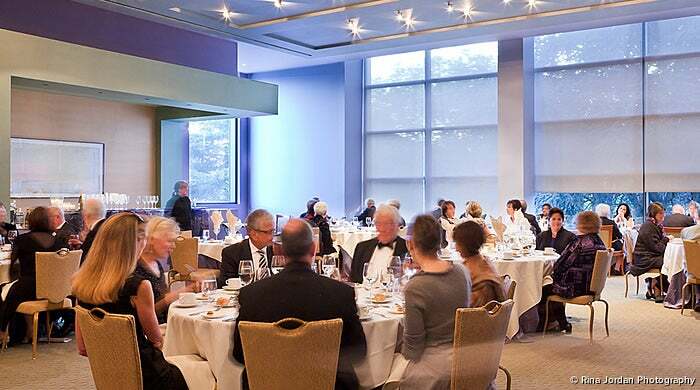 The Allen Foundation for the Arts Room features warm colors, an art-glass bar top, a stunning view of the Queen Anne hillside, and built-in sound system and video monitor. 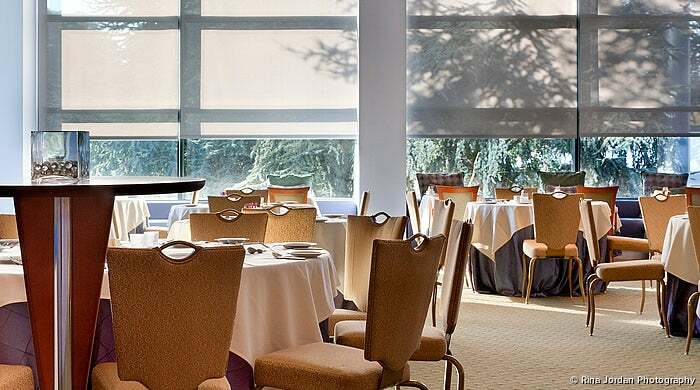 The Norcliffe Room’s cool color palette complements the tree-top level park views of the Seattle Center grounds and International Fountain, seen through the windows. 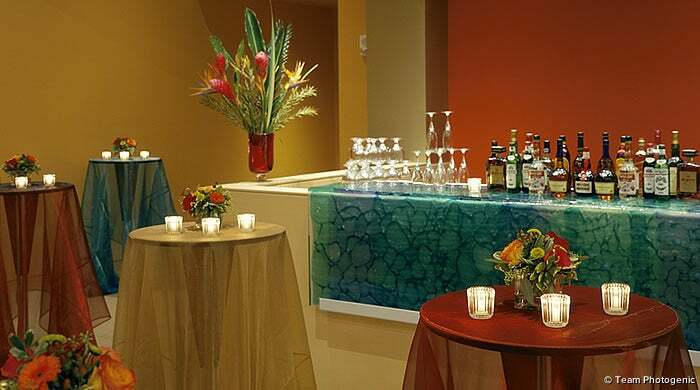 The room also features an art-glass bar top, and built-in sound system and video monitor.